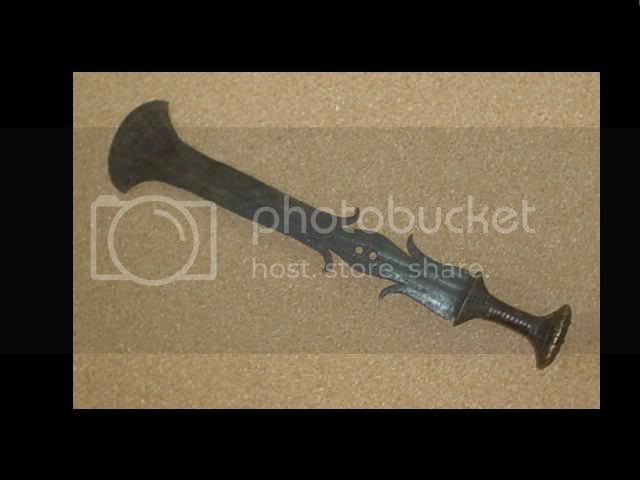 Here's a nice Konda-sword I acquired last week. 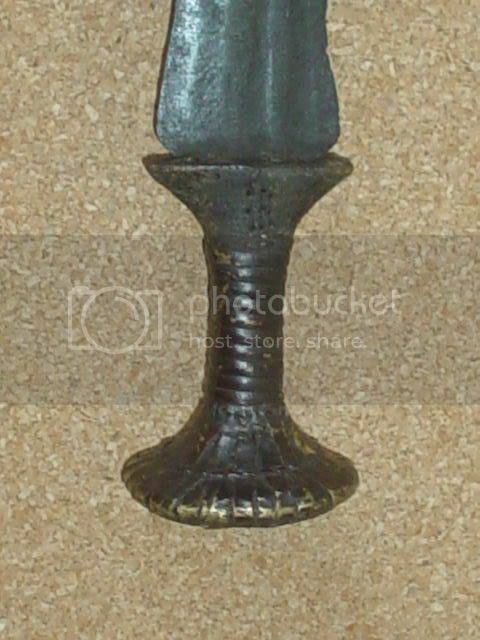 The overall shape is typical Konda with an addition to the middle of the blade. 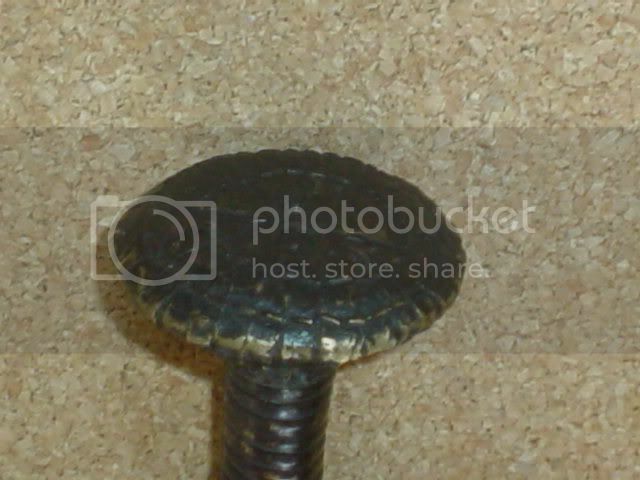 The handle is covered in copper. Total length : 49 cm. Hi Freddy, nice sword, but the general shape isn't more mongo than konda? 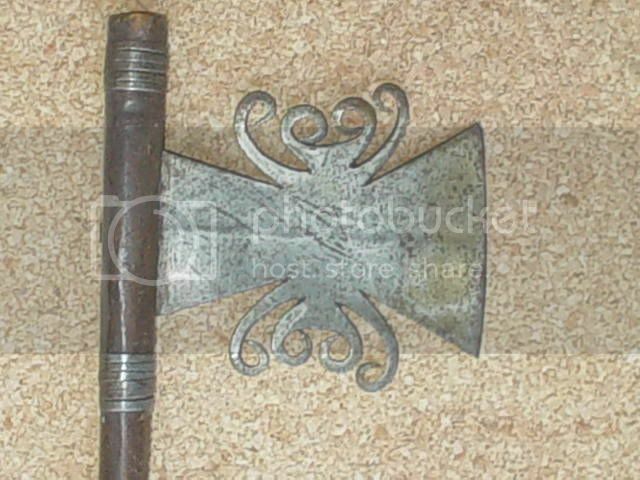 I know there are many different cultures in Africa, each with a more or less distinct style, but I heard that there was one culture that made all swords different. Each unique. I have one (somewhere) that looks like the middle part of yours. Is there such a culture? Or am I being played? 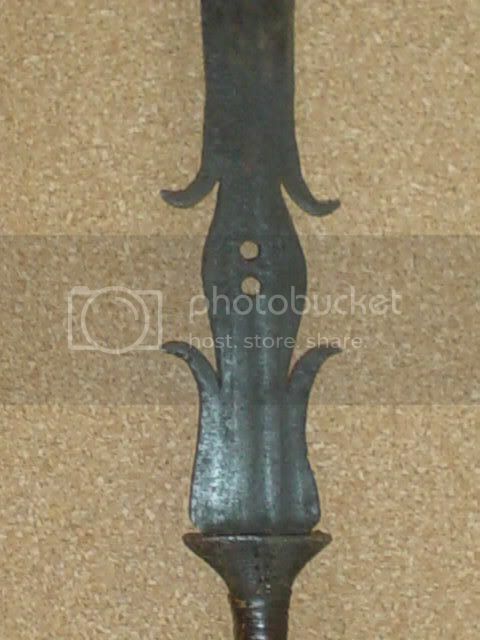 The Konda people have a tendency of making weapons with all kinds of curves and hooks. Most of these weapons are ceremonial. Some of them, like the one I showed in the thread, are very well made and could be used as a weapon. 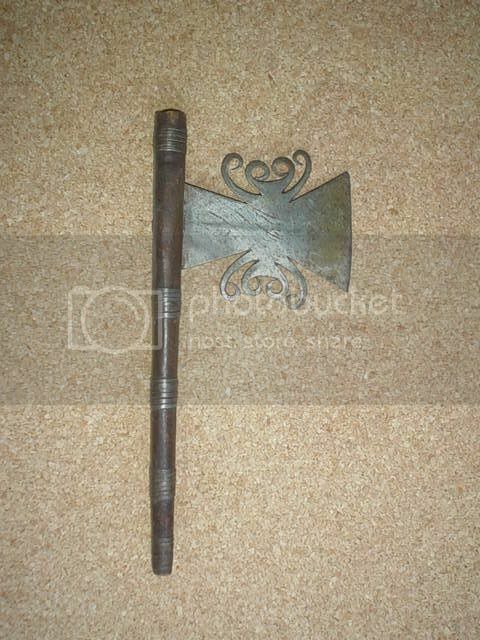 Here's a small axe, also from the Konda-tribe. The blade is not of the same quality of the sword blade, but it's still a nice piece. I was just reading in the catalogue on the Mongo culture and remembered your question on the Mongo people. The Mongo live in the equatorial forest between the Zaire river in the north and the west, the Kasai in the southand the Lualaba in the east. The climate is moist and warm. In the west, 330 metre above sea-level, the average temperature in the warm season is between 26° and 34°, in the dry season between 23° and 30°. To the east, on the plateaus 500 metre above sea-level, the temperature is lower. Each of these groups has their own language and customs. But these 40 groups have certain linguistic and cultural points in common. That is the reason they are part of the Mongo culture. The Konda people are known for their very decorative knives. Perhaps your knife has the same origin. Perhaps you could show it to us ?